Businessmen are serious people, right? Not always. Steve LeBel — hospital president, technology entrepreneur, algorithmic trader — is definitely not serious. Not when he writes. Whimsy overcomes him at the word processor. 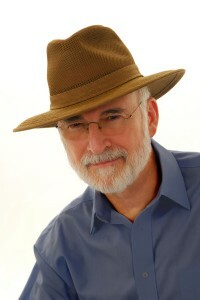 Whimsy is at the core of his novel, The Universe Builders, which is told with LeBel’s unique balance of seriousness, humor, and whimsy. Steve lives in Muskegon, Michigan with his wife and two cats. When not writing, he can be found cursing the stock market, providing tech support for his friends, or thinking up new plots for The Universe Builders. I discovered, almost by accident, that I could write about real life incidents and make readers laugh. They encouraged me to write other things, which ultimately led to writing novels. I love the feedback I get from my readers. It inspires me when they say how much they loved the characters or how much they hated the villain. And it is fun to do it in a setting where I can ‘play’ with concepts that we would otherwise never think to question. I am a very methodical writer, and I use an outline to create my story. Once that is complete, I write the scenes. The most difficult scenes are the beginning and the ending, so I may jump ahead or back to work on them from time to time. Sometimes, there is an idea that forces itself into the plot so I have to change the outline to fit it in. Usually, I have several plot lines going and it’s hard to move things back or forth in the story because so many things are deeply interconnected. I don’t actually talk with my characters. However, if I try to put words into their mouths that they don’t like, they refuse to say them. They just stand their with their lips closed tight and I have to come up with different lines for them. Just plain stubborn. Don’t they know I am the author? I am the one who is supposed to decide what they will or won’t say. Writing is a business. There are many skills needed to master it – not all of which can be done by a single person. Figure out what you’re best at and get help with the rest. And don’t underestimate the amount of marketing you will have to do to make your book successful. I read several books on traditional vs. self-publishing. After a lot of thought, I decided to self-publish. But with a twist: I found a group of other authors who made the same decision. We have been meeting weekly for a year, formed our own publishing company (ArgonPress.com), and have all published our first books. It has been a great experience. We learned and shared with each other along the way. I am convinced we made the right decision. The publishing process is becoming more available to all writers. This is good because it provides easier access to publishing for the writers, and more variety of products for the reader. The bad comes from the lack of quality control when a single person makes the ultimate decision whether or not to publish, which can leave the reader disappointed with the final product. Over time, there will be a overabundance of material and few ways to sort it for quality. Some sort of screening process will have to emerge to help readers make good choices. Some of this will be good, but in that process, those with the resources to pay for promotion and qualitative enhancements to their work will rise to the top. Unfortunately, equally good work, without the resources to be promoted effectively, will die under the mountain of choices.